Can you believe we’re already almost at the end of 2018? The year feels like it’s completely flown by, and before you know it, it’s already time for the annual New Year’s countdown once again. As always, the Marina Bay Singapore Countdown will be making its return on 31st December 2018, and this year, will play host to STAR ISLAND in its international debut – a multi-sensory fireworks musical that marries larger-than-life pyrotechnics and lights, 3D surround sound and world class performance acts into a single, seamless performance. STAR ISLAND, created and produced by Japan’s Avex, has presented sold-out shows in Odaiba, Tokyo to over 80,000 spectators and received several industry accolades, including the Jury’s Special awards at the Cool Japan Matching Forum 2017. Expect a touch of theatrical extravaganza as audiences journey through six chapters – Ceremony (Opening), Earth, World, Chaos, Love, One – each one choreographed to a unique soundtrack, which can be enjoyed through 3D sound technology boosted by more than 200 special speakers to wrap audiences in an audio-sensory experience. Audiences will also find themselves further immersed with individual LED wristbands that respond to the show, adding their own light to the celebrations. The spectacular fireworks will bloom against the backdrop of Singapore’s city skyline, showering Marina Bay with special fireworks, coupled with laser projection, it will serve as a dynamic backdrop to an action packed stage of more than 60 minutes of performances. Ticket holders can look forward to being captivated by a show of synchronised light, sound, fireworks and world-class performers. 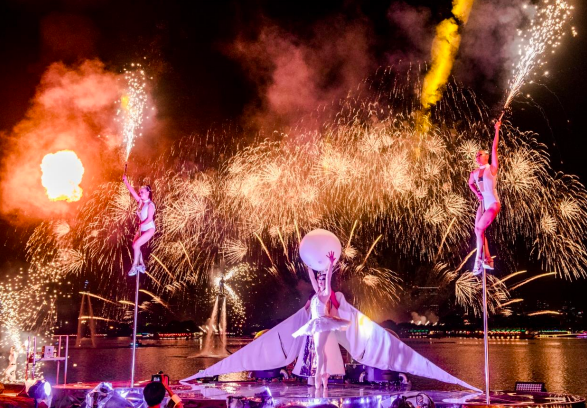 The STAR ISLAND experience begins even before night falls, and there’ll be plenty of fringe activities for ticket holders to enjoy a holistic end-to-end experience from 5pm onwards. Expect a fully loaded F&B marketplace, family-friendly activities in special kids zones, as well as roving performances, before finishing off with the grand show that will close off 2018. Come for the show, stay for the afterparty as the first DJ party of 2019 kicks off immediately after to have you dancing into the new year. Bakchormeeboy: How did the concept for Star Island first begin? Kenji: The original idea for STAR ISLAND is inspired from a book titled “Ami, el niño de las estrellas” by Enrique Barrios. An extra-terrestrial, intelligent being by the name of Ami from another planet visits Earth, and brings a youth to a planet that is made up of love and harmony. He teaches the youth that while earthlings may clash, love is the ultimate truth, and everything stands on love and harmony. The youth returns to Earth with those experiences, and proceeds to experiment on how to live his life out. Such is a brief overview of the story. We are unable to bring audiences to that planet, but we have planned the venue and flow of performance to connect our audience to a parallel world called STAR ISLAND. We wanted to bring them an experience, not just a show. Therefore, we developed this concept of future hanabi which fuses the Japanese tradition of hanabi with modern technology and 3D surround sound. Audiences can enjoy themed fireworks sychronised to the beat of various soundtracks, and at the same time, feel the music all around them through special speakers that create this 3D surround sound experience. Bakchormeeboy: Could you tell us more about the concept of future hanabi? Kenji: The concept of STAR ISLAND, is a location-based entertainment event, that integrates fireworks with cutting-edge technology like 3D sound and projection mapping, against the skyline of the city it is held in. I feel that the reason why Japanese fireworks culture has survived until today is because of the generations of fireworks makers who put in so much passion into its creation and innovation. The generations of people who witness their fireworks must have been moved by their passion, became avid fans of their creations, and decided to preserve the craft of fireworks making. In order to protect and carry on this tradition, I decided to elevate the experience by coming up with something unique that only my team can set out to put together. Bakchormeeboy: This will mark the first time Star Island comes to Singapore, and in fact, outside of Japan. How different will it be compared to the shows in Japan? Kenji: This first big difference is the location. We have specially worked on a performance that will be set against the beautiful Marina Bay city skyline. Also, STAR ISLAND SINGAPORE COUNTDOWN EDITION is an updated version of Tokyo’s STAR ISLAND 2018 that takes into consideration Singapore as a location – we have first-time acts and performances that have not been done in Japan before. STAR ISLAND SINGAPORE COUNTDOWN EDITION is not only a fireworks show, but will be part of Singapore’s annual countdown event, and is one that will be representative of Asia. We are moving ahead with preparations for a show that will be memorable to all Singaporeans. 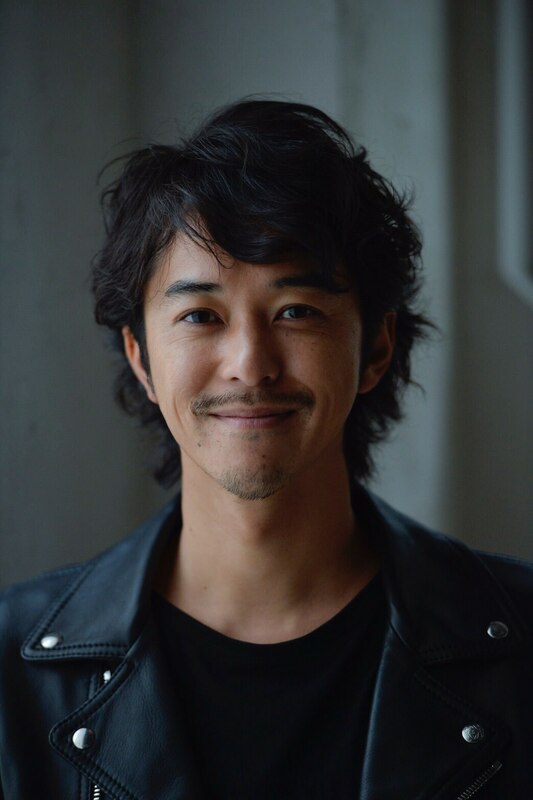 Bakchormeeboy: What were some of the challenges you faced in adapting your show for Singapore, e.g. was the smaller space an issue? Kenji: We want to bring the best experience to everyone at the Star Island Singapore Countdown Edition and to bring an entire show of this scale overseas is always going to be a challenge, but I enjoy that challenge! There are some differences in organising the event in Singapore compared to Japan because of the local rules and regulations that we have to meet. Bakchormeeboy: The soundtrack is key to this performance, with the fireworks firing in sync with each beat of the music. How do you ensure that things go as planned/designed, e.g. are there fireworks rehearsals to make sure everything goes off without a hitch? Kenji: The fireworks are fully controlled by programming them to sync with the music. Having gone through months of meticulous calculation and simulation, we have made it possible to fully synchronize the fireworks, which would otherwise be unachievable in your usual music and fireworks show. There will be no rehearsals for the fireworks, and only simulations. Bakchormeeboy: Why should Singaporeans come celebrate their New Year’s at Star Island? Kenji: STAR ISLAND is a VR-like experience without the need for VR goggles, and a multi-sensory entertainment event that crosses the boundaries of modern fireworks displays. We would like for you to come experience an event that will awaken your senses, against the amazing backdrop of Marina Bay Sands. The fireworks makers involved in this show have gathered their best teams, and have created the most amazing fireworks. We would like for you to look forward to enjoying these Japanese fireworks too. Bakchormeeboy: Do you have plans to hold Star Island in Singapore next year? Kenji: The challenge for us this time is how the audience in Singapore will perceive our show (whether they will enjoy and accept it). Depending on the reception, and if there are chances in the future, we would definitely love for STAR ISLAND to return to Singapore. For now, we will be putting in our all for this year’s STAR ISLAND SINGAPORE COUNTDOWN EDITION! 4. Winners will be informed by e-mail.